A life-changing and faith-building practice that you can adopt during your Daniel Fast is using positive affirmations. However, you want to make sure you’re using them in the right way that will bring the results you desire. If you do a one-minute search on Google for positive affirmations about any subject you can think of, thousands of results will appear in less than a second. That’s because so many people have tried to reach their goals. Some seek to heal their ills and change their lives by repeating positive statements to themselves over and over again. Scientific studies report that making positive affirmations, in the correct way, can have a positive effect on your life. Probably one of the most famous people who used positive affirmations was Mohammed Ali. Over and over and over again The Champ said, “I am the greatest.” And at first, people laughed at Him. Then Cassius Clay (he later changed His name to Mohammed Ali) started winning. And He won more. And in not too long He was the greatest boxer in history. Is This a Biblical Practice? The Scripture calls “positive affirmations” confessions. The Bible tells us to watch our words (Matthew 15:11). Jesus teaches us to speak to the mountains so we can receive the results we desire (Matthew 17:20). The Apostle Paul tells us to think on these things, which are only positive thoughts (Philippians 4:8). So why are so many people disappointed when they use confessions or affirmations, but don’t experience success? It’s because God created our minds to search for truth rather than lies or deceit. So unless you believe what you’re saying, your mind reads it as a lie. And lying to yourself doesn’t work! “Money comes to me easily and effortlessly.” No, it doesn’t! I work hard for my money. “I am beautiful and everyone loves me.” No, I hate my curly hair and big nose and there are people who don’t even like me! “I weigh 125 pounds and I’m fit and strong.” No, I stepped on the scale this morning and I weigh 153 pounds and sometimes I can’t even open a jar of pickles! Every time you make a statement that isn’t true, your internal truth meter goes into the negative zone. Your mind pushes back. Your mind resists. When we make statements to ourselves, but we don’t believe them in our heart, they are read as lies and they’ll be rejected. A lot of Christians shun the possibility of using positive affirmations because they link them to secular thought and secular teaching. However all we need to do is study the Scriptures and see that telling ourselves the truth, and then aligning ourselves, our behavior, and our beliefs with the truth will affect our lives. 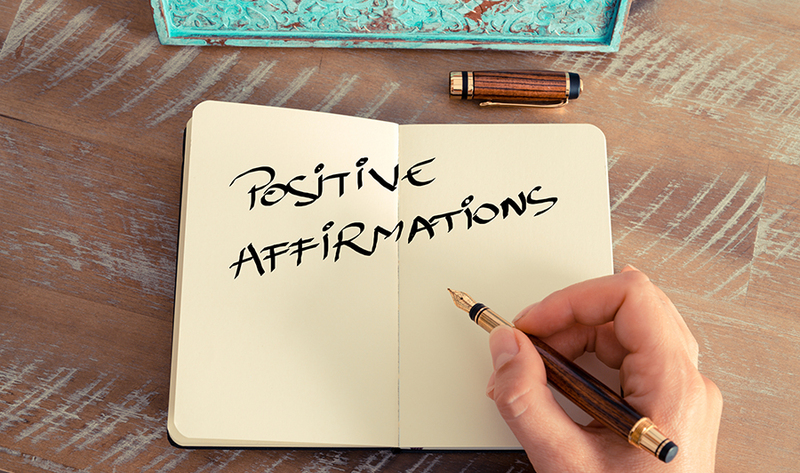 Using positive affirmations in the right way can indeed help you change the way you think. You can open your mind to receive the truth of the Bible. And what does that truth do? It sets you free. God created you to resonate with truth. And that’s why we’re called to speak only truth. We’re instructed to guard our minds against those things that are not the truth. We’re taught to renew our minds so we can be transformed by the truth. All of these statements are positive statements. They agree with the Word of God. As you say them aloud, or as the Scripture says, declare them, then the words enter into your mind as seeds and begin to grow. When you start behaving in a way that is inconsistent with the truth of God, and the statements that you’re hearing from yourself, it triggers a desire to change. This is how positive affirmations, when done in the way that agrees with the truth, truly can change your life. What are the needs that you have today? Go to the Scriptures and find the promises of God. Then create an affirmation for yourself that you can repeat. See it as a seed that you’re sowing into your heart. Trust in the Lord that He will fulfill the promise that He has made to you in His Word. Declare His truth over your life and over your circumstances. Make your use positive affirmations a part of your receiving of the promises that God has already provided for you. Make the declarations a step in your prayer life. Ask. Believe you receive. And if you have a gap between your ask and your position of believing (with no doubt), then use your positive affirmation as part of your faithful meditation. Use your own words, rooted in God”s truth, to change your heart. Repent. Change the way you’re thinking. Click on the link below if you’d like to see a list of positive affirmations that are all based on God’s Word. Use these affirmations for yourself, or as a model for the affirmations that you’ll declare over your life. Consider these declarations, grounded in the Word, to be seeds that are sown into your heart, and allow them to take root so that you will bear fruit. I love hearing from folks about your faith experiences. Please leave your questions or comment below. Send me the Positive Confessions, please. Thank you so much for your massage. I like your approach of teaching, you don’t just preach but your words are supported by quoted bible verses this makes me believe you and your words. Before knew Daniel fasting, i just used to fast without direction. When i started following Daniel fasting, my prayers are answered, all my enemies are surprised that i am resistant to their African charms in trying to witch me. Fasting is the most powerful weapon against all forms of evil. May the good lord continue blessing and give you more days of your life so that you can transform and preach to many. Thank you madam Susan. The way you are preaching to us is very encouraging and simple to understand. You Don’t just use your own imagination in explaining the word of God but you are quoting bible verses which makes you a true and genuine woman of God. Your words have added and increased my faith in God. At first i just used to fast any how and my prayers seemed not to have been answered. 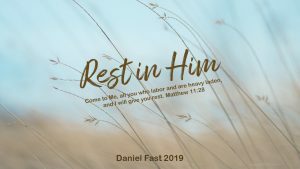 When I started following the Daniel method of fasting, my prayers are answered and my enemies are shocked with the Grace and love of God on me. I liked your preaching, I like your preaching and I will like and share your preaching to my family and friends for i have received benefits from your way of preaching. Thank you and may God almighty father richly Bless you and Give more and more days of your life so that you can change many. Wonderful piece,i have not been practicing this act regularly but now,by His grace I will be confessing positively for my self,family and loved ones. Remain blessed,as you bless us. Our God is so good and when we practice His ways we have access to more of His goodness! That’s God’s way. And the positive affirmations help you believe. Trust in God with all your heart. We need to go deep. And so changing our minds is essential. God has the job there for you. Your part is to believe and receive. Hello Susan. I want to thank you for your teachings over the years. I have grown closer to God. This teaching on positive affirmation came at just the right time for me. I tend to focus on the negative and unknown but pray for the desires of my heart. Now I will work on thinking positively as I pray. Also, I’ve done the Daniel Fast for several years and it has changed my prayer life and my health. I’m grateful for you and may God bless you always. Happy holidays. Thank you so much for your lovely and very encouraging message. I am so blessed that God allows me to touch the hearts of His people. Truly an honor and a privilege. Be blessed as you continue your transformation experience with the Lord. We get better and better and stronger and stronger as we lean into Him and His ways. make every effort to declare positive words which are in accordance with Gods word in every situation believing in the words I speak. Thank you so much for your lovely message. I am so glad the email from me helped you to move into this very powerful practice to build our faith and feed our soul. Good afternoon, I’m grateful for you sending me the positive affirmation to read about, I started saying positive things to my body for healing & really be living it & felt a change in my spirit God bless you. I am so glad you sent this testimony. We so often only believe what is in the natural world. And God created the natural world, but He the spiritual realms are also available to us. When we pray and when we confess God’s truths over our lives the spiritual realm invades (in a very positive way) the natural realm. That’s when healings, miracles, blessings, and touches from God can happen. So glad you are entering into this part of living God’s ways. Thank you Susan for the lesson on positive affirmation. Thank you for the love you are showing us and for the encouragement in our journey of faith. May our Heavenly Father richly bless you and your ministry and cause you to reach out to even more souls to the farthest corners of the earth. Thank you so much for our blessing to me. I receive it with gladness. Our God is so good. And I am blessed beyond words that He has called me to this work. You inspire me, dear one. Thank you for your message. Our God is so good. He loves us so very much. When I use my own words for the affirmations, i “hear” God’s Word in them, since they are all based on the Scriptures. I to love declaring the Word of God, and do that, too. More and more! Getting His truths into our hearts is the key. Susan, I have been connected with your ministry for some time now. You have been a large part of my being on the right path in my walk with Christ. I have taken several of your offered courses and am very pleased with your sincerity, thoughtfulness and love you give all of us. I am gearing up for my third Daniel Fast and I will surely include positive affirmations in my time with God. May God continue to Bless you and your ministry with good health and all you do well into our future. 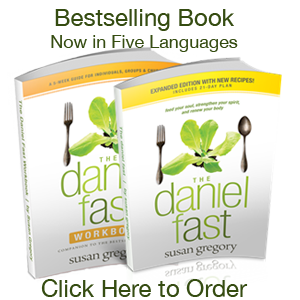 Susan several times a year I do a 21 day Daniel fast. I will start another 21 days, in December. I would like this time to lose 10 lbs and keep it off. Is there a way I can do both at the same time?? I set behind a desk 6 out of an 8 day. You might want to do a couple things: One, make the purpose of your next fast to recognize more profoundly that your body is the temple of God and you are its caretaker. You might want to read The Danial Fast for Weight Loss. It’s not a diet book. But instead, I wrote it to help people get in touch with who they are in Christ and to take up the role of being the Aaron for the body that Christ bought with a price. Two would be to add an additional element to your fast and that would be to consume all your meals in an eight-hour period each day. This would merge your spiritual fast with intermittent fasting for your physical body. You will very likely drop the unhealthy pounds you desire to shed. Be blessed and I hope this helps. I have just started learning about this and found this information quite encouraging. Thanks for explaining why I have trouble believing it. I am in the process of change and this will definitely be included as part of my process. I am so glad this helped, Claudette. I hope the very best for you as you continue to pursue God and learn more about His amazing ways for us to live. Tonight I read fast but my spiritual eyes have been opened and I know my healing will be permanent like yours. Praise God, Mitron. I am so glad my testimony of God working in my life was of help to you. He is so good! Great Article and so on time. Thank you for sharing. I am starting now to speak the Word of God more and more over me and my family. I pray that God will deliver me from any unbelief and doubt and help me to receive the incorruptible Word of God and see the results. I know for sure you will sense His living Word flushing doubt and unbelief as you consistently speak His truths over your life. He wants to give you the desires of your heart. So delight in Him and then glory in the work He does in you! Susan, thank you for this article. I do believe in confessing the Word and making declarations and decrees based on the Word in faith. You have explained it in such a simple manner and your testimony of the healing you received after you began your confessions is encouraging and a real faith builder. You are a blessing. Thank you so much, Phyllis. God is so good. His ways are not our ways. But He tells us how to use His ways! Yeah, God! Spiritual activity goes on when we speak the living Word. And we can do this! Thank you so much, Bukky.